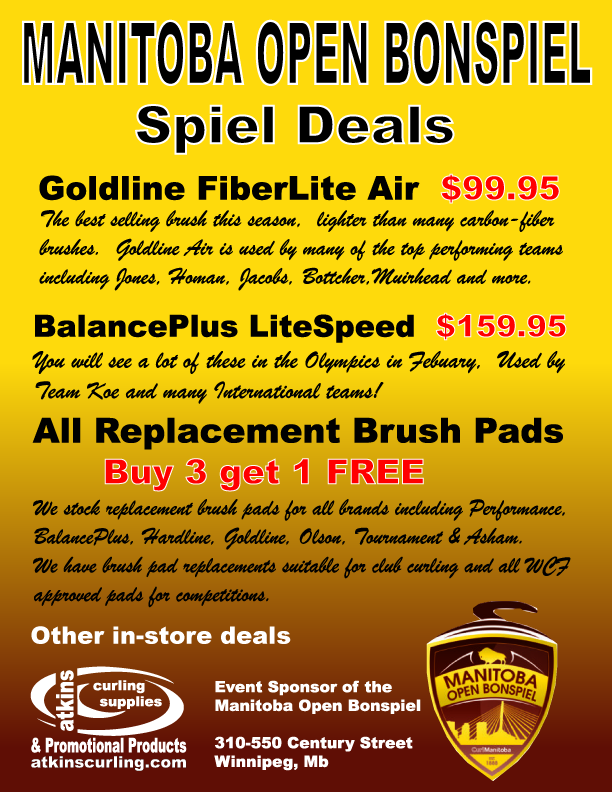 Atkins Curling Supplies is once again pleased to support the Curl Manitoba “Manitoba Open Bonspiel” as an Event Sponsor. We have put together some Spiel Deals for you. The deals are for “in-store” shopping only and will run all week starting Monday Jan 15th until close on Saturday Jan 20th. Here are some of the deals – find more in-store.